NO. 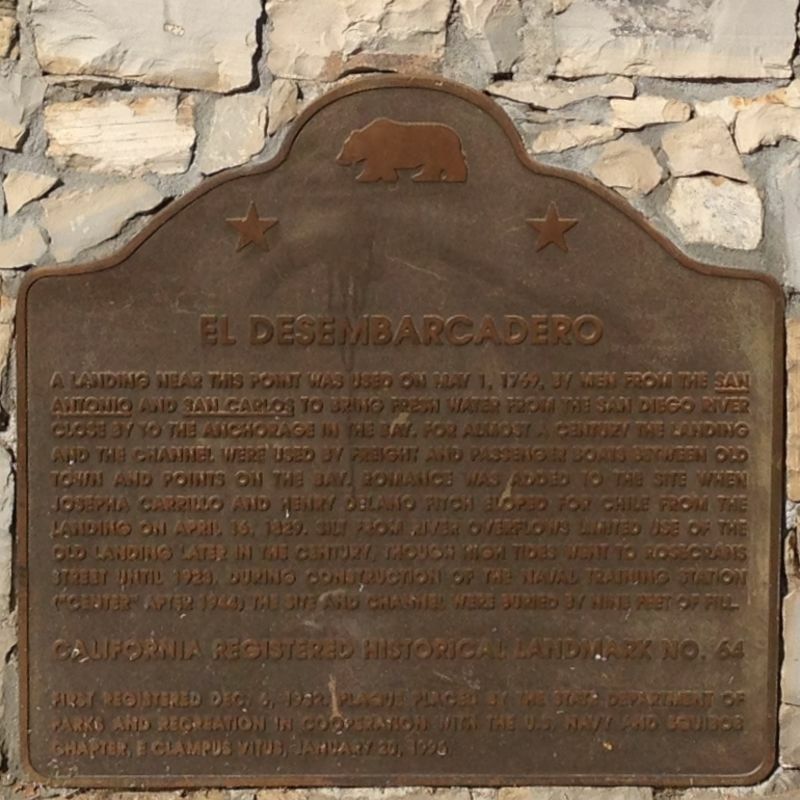 64 OLD LANDING, SITE OF EL DESEMBARCADERO - El Desembarcadero was one of the first landmarks designated during the first year of the landmark program. 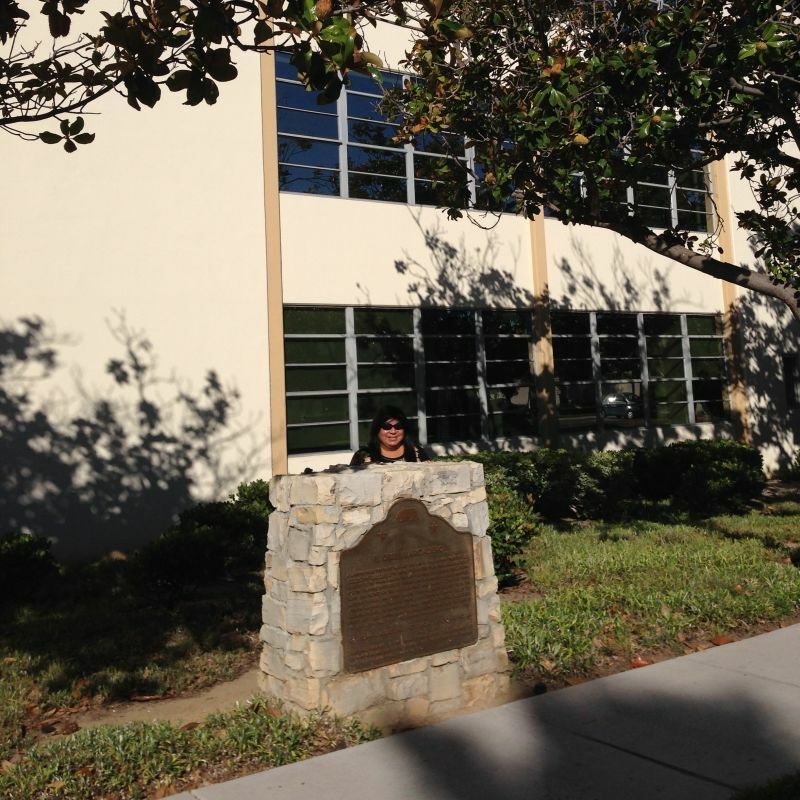 The site was recognized as the landing place for small boats carrying freight and passengers to Old San Diego. It was also believed to be the place visited in 1769 by the crews of the San Antonio and San Carlos in their search for fresh water.